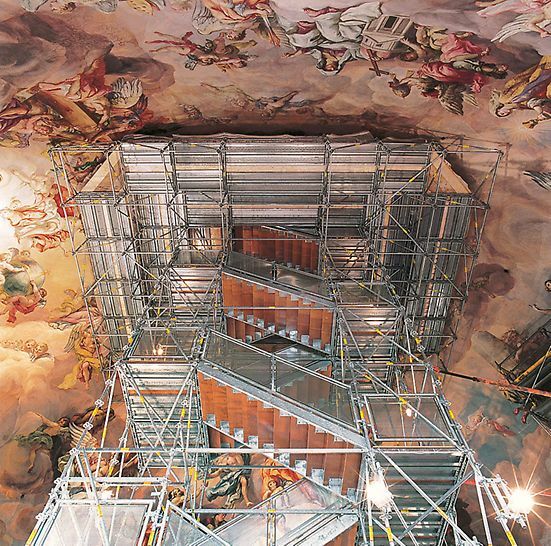 dome restoration without restricting visitor access, plus visitor gallery to finance the conservation work. 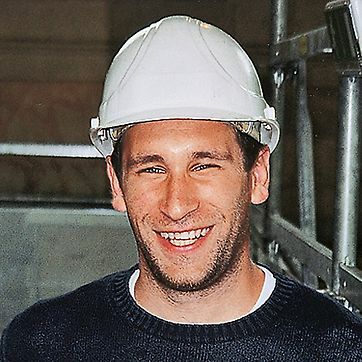 increased requirements on scaffolding in public areas in terms of loads and fire protection, supply of all materials from one place. 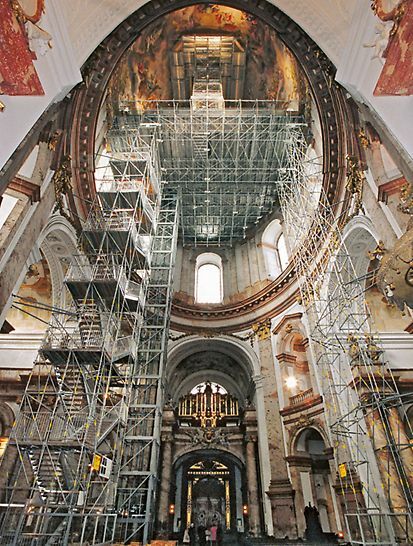 In PERI we found an expert partner that was able to realise the architectural and technical requirements without impacting on ongoing church activities. PERI UP complete solution for working platforms and visitor gallery. Assembly of the working platform using cantilever method with subsequent support underneath. Visitor gallery at a height of 32 m with LGS girders suspended over 17.50 m and accessible via glass lift. A stairway leads to the dome area and on to the so-called "Laterne" from the centre of the gallery. An emergency stairway has been installed in one of the two shoring towers to bear the load of the scaffolding construction.